The UK must not fall further behind in the global digital race. Last week, the Prime Minister described the UK technology industry as a ‘great British success story’. This was following the release of a report by Tech Nation revealing that the UK has attracted £28 billion in investment since 2011, more than outpacing France and Germany combined (at £11 billion and £9.3 billion respectively). 72 per cent of this investment went to regional technology businesses in 2016. This is promising, and more than just a glimmer of hope in regards to keeping Britain’s economy healthy in the light of Article 50. However, we cannot rest on our laurels. The Internet of Things (‘IoT’), robots and haptics, and autonomous vehicles are no glints in the eyes of a few visionaries. They have not miraculously surfaced out of nothing – they are instead the result of the natural evolution of technological development. The trend our research continues to focus on is the better application of innovation through upgrading and diversifying functionality rather than disruptive or game-changing breakthroughs. If the UK is really going to have a chance at being able to commercialise applications that dramatically change the way we live and work, which we refer to as second generation technologies, it’s time that the underlying conditions are made more favourable to catalyse the process. A countrywide rollout of fibre broadband is the first, and most important, step. The infrastructure for this requires more than the sub £1bn accumulated announcements over the last couple of years. The five-year exemption from business rates for UK companies installing new fibre-optic cables, as announced in the autumn last year, removes BT’s unfair scale discount compared with its smaller competitors, but is small beer in the context that the UK telecoms sector is expected to spend nearly £10 billion on broadband networks over the same period. Once a fibre network is in place, it bears the potential for significant growth capacity with very little marginal cost. CityFibre, a national dark fibre network infrastructure provider, currently in 42 cities and on target to expand to 100 towns and cities by 2025, is the only wholesale alternative to BT Openreach. If it reaches its target, this will mean fibre access for 60% of the UK’s businesses and 40% of the UK’s homes outside of London. It is not just large and small businesses that would benefit if we consider that businesses run from home contributed £212 billion to the UK economy last year. 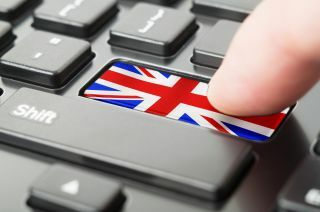 The Spring Budget also saw the Government’s acknowledgement of the importance of 5G to grow the UK’s digital economy. Although the 5G Strategy was welcomed by stakeholders in the industry, the overall promised investment of £16 million to support first phase trails is a modest figure and demonstrates that the Government has failed to fully grasp the potential value that high-speed connectivity could unlock for businesses, as well as the current scope of the market. 5G will enhance the greater use of portable devices, not just limited to mobile. The potential for higher data rates, lower levels of latency and increased capacity will also propel the IoT space which is reported by McKinsey to be worth over $11 trillion by 2025, or 11% of the global economy. The includes the Industrial Internet of Things (‘IIOT’), or Industry 4.0, which refers to digitising manufacturing processes and supply chains. China is already capitalising on this trend with its Made in China 2025 strategy, encompassing the goal of becoming the global leader in precision manufacturing by 2050. The UK, in comparison, is ill-prepared in IIoT due to several factors including a lack of awareness of how to integrate legacy systems, analysing and handling data, and recruiting people with digital analytics skills. A commitment to educating young people in STEM (science, technology, engineering and maths) subjects from an early age is of vital importance to the UK’s competitiveness in technology, in addition to investment, regulation and infrastructure. It is encouraging that the Government has planned to invest £250 million over the next four years to establish a pipeline of high-skilled talent to grow the economy with innovation, as part of the National Productivity Investment Fund which has also allocated £100 million to attract talent from overseas. It will be revealed how Brexit negotiations affect this going forward but in the meantime, there is no dearth of existing talent to take the country forward. The IoT also necessitates experts in cyber security, considering the risks inherent in the mass exchange of data. This again represents a new and exciting opportunity for the security industry with the creation of new jobs and investor interest. Adaptive security market is predicted to be worth $7.07 billion by 2021. British cyber-security company Darktrace, for example, uses machine learning to analyse network traffic for every user and device, and automatically reacts to any abnormal detected behaviour. With the right foundations, examples like this can become more commonplace. The UK does not even begin to approach the top 10 countries with the highest internet speeds. Asian territories such as Hong Kong and Singapore, along with the Scandinavian region, are all ahead, with South Korea taking the global top spot. While current focus might well be on divorce with Europe and the associated risks, the digital race is a global one in which we must not fail to take part, or else settle for mediocrity in an international context.